HomeBlogBlogYes, Our Draw Wire Position Sensor Can Go inside Your Cylinder. When CPI introduced its first harsh duty hydraulic cylinder linear position sensors over a decade ago, we designed them to be as compact as possible, primarily for installation into hydraulic cylinders. 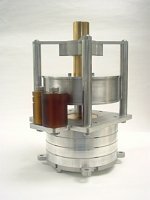 Some of our customers wanted them to work with existing hydraulic cylinders; some wanted the sensor mechanically tied to the piston somehow, but without placing the entire measurement mechanism inside the cylinder to make retrofit easier; others wanted our sensors to operate in a stand-alone capacity, as harsh-duty draw wire sensors. In addition, we learned that these sensors represented the ideal solution for sensing the piston position in accumulators. CPI ended up solving all these engineering challenges with a variety of mounting, and operational customizations that allowed our robust sensors to operate perfectly in retrofit applications where the original sensor technology was not robust enough. 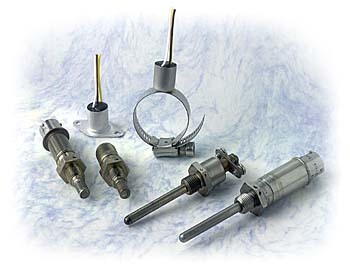 With long rod sensors being the most commonly used (and most commonly replaced) sensor technology in long stroke hydraulics, CPI even developed an implementation that screwed directly into the same mounting, had exactly the same electrical outputs and connectors, and could act as a complete functional replacement for rod-type sensors in long-stroke applications. The most elegant implementation of our position sensors has come in recent years as manufacturers have begun to design our sensors into their cylinders directly. It took a while but the industry is finally catching on about one very unique capability our sensors have always had… that they are designed to operate completely immersed in the pressurized environment – regardless of medium – virtually any hydraulic fluid, gas, even seawater. No other draw wire sensor system has this capability. It’s a capability that bears repeating perhaps: OUR SENSORS CAN BE PLACED ENTIRELY INSIDE YOUR HYDRAULIC CYLINDER OR ACCUMULATOR. CPI’s SL Series sensor is a class of draw wire system that uses advanced metallurgy coupled with precision design and fabrication. 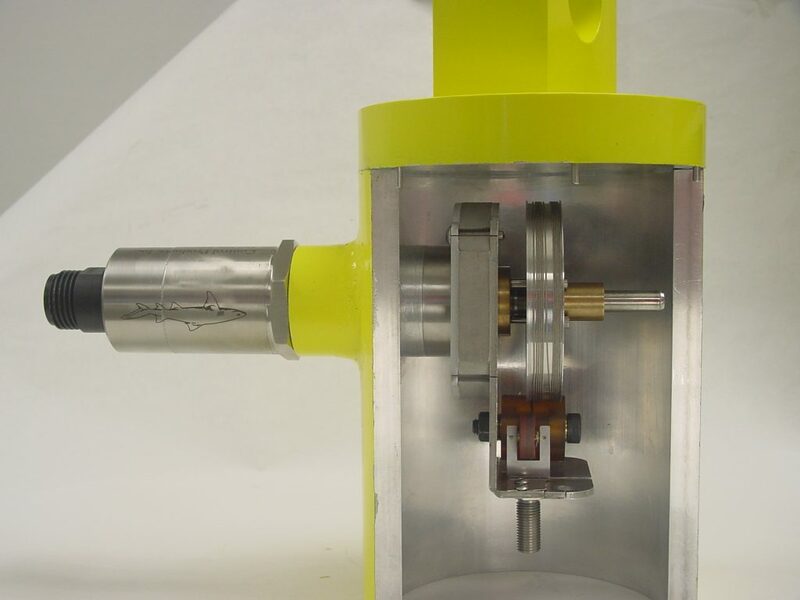 After two decades of field testing and design iterations, we offer the most bulletproof solution to linear position sensing for harsh duty hydraulic cylinders and accumulators in both land and subsea applications. The draw wire core has no pressure vessels that will succumb to high oil pressure, or water pressure at the ocean floor. These can be configured to operate in environments as corrosive as aerated seawater, while maintaining endurance capabilities beyond one million cycles. The CPI SL2000 sensor provides absolute output and, unlike other draw wire sensor technologies, it is both non-contacting, and pressure tolerant. Leveraging the extensive development and capability behind magnetostrictive sensor technology, the CPI sensor is designed to be mounted completely inside the cylinder housing. The magnetostrictive probe accesses the draw wire core via industry standard port mounting. 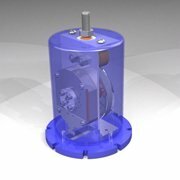 Developed initially for mobile equipment applications, now our in-cylinder extensometers fill a void in the deployment of advanced hydraulic control feedback for a wide range of machinery, including offshore drilling equipment, including motion compensation systems, underwater hydraulics, mining excavators, and other large scale agricultural and marine equipment. It is also the only sensor technology suitable for telescoping cylinder applications. Shown here with industry standard Seacon Connector, our SL-2000 may be the solution you need for high power, long stroke hydraulics, wherever they are deployed. Call our engineers to discuss your application today!